New Option For Getting Rid Of Old Drugs: The Pharmacy : Shots - Health News The Drug Enforcement Administration is loosening up its rules so that people will have more ways of disposing of drugs that can be risky to keep around after they're no longer needed. Soon there will be disposal choices beyond the take-back drives for old medicines. 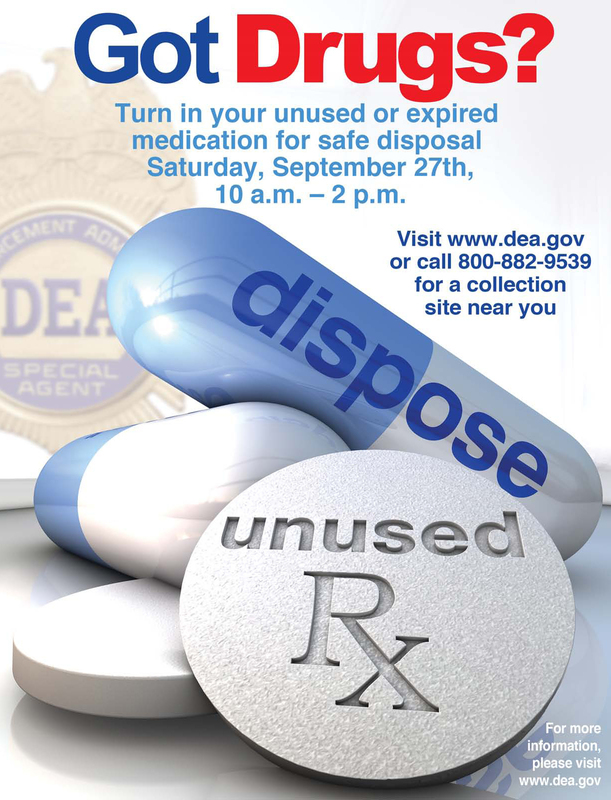 If you have old or unused narcotic painkillers in the medicine cabinet, your main choices for getting rid of them have been to toss them in the trash, flush them down the toilet or drop them off at the police station. But soon it will be possible to take them to the local drugstore or even mail them back. The Drug Enforcement Administration is loosening up its rules so that people will have more ways of disposing of drugs that can be risky to keep around after they're no longer needed. New disposal options could also alleviate environmental concerns that crop up when people put their old drugs in the toilet or the garbage. Narcotics are tightly controlled because they can be abused. By regulation, narcotics couldn't be taken back to drugstores before. It's why the usual take-back sites have been police stations. Under a regulation that takes effect in a month, drugstores, hospitals with pharmacies, drugmakers and even drug-treatment centers can serve as collection points for unused narcotics. The change is "long overdue," said Dr. G. Caleb Alexander, co-director of the Center for Drug Safety and Effectiveness at Johns Hopkins Bloomberg School of Public Health, according to The New York Times. In 2013, there were 230 million prescriptions written for opioid painkillers, such as Vicodin and Percocet, dispensed in the U.S. More Americans now die from drug overdoses than auto accidents. "It's baffling that it's so easy to get a prescription for opioids and yet so difficult to dispose of these drugs safely," Alexander said. The new regulation focuses on controlled substances, but a DEA spokesman confirmed that a collection box that's OK for narcotics would also be OK for the return of other prescription drugs. Now, there's no requirement that drugstores have to add collection boxes or return-by-mail options. A spokeswoman for the National Association of Chain Drugstores, a trade group, said it "is reviewing the final DEA rule with our members." Walgreen didn't immediately respond to calls about their plans once the regulation takes effect. The DEA suggested in the official notice of the change that participation could have advantages. Drugstores and hospitals that take part may garner goodwill by "providing a valuable community service," the DEA wrote. The companies and organizations that use a mail-back option could benefit from the chance to "distribute to consumers promotional, educational, or other informational materials with the mail-back packages." Updated 4:23 p.m.: After the initial version of this post was published, a CVS spokesman emailed that the company "is committed to combating prescription drug abuse in multiple ways" and is "reviewing the new federal regulation announced today as part of our on-going commitment to measures that can help prevent prescription drug abuse."